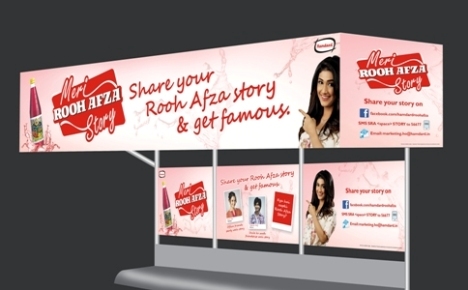 MUMBAI: Hamdard‘s division Roohafza launches its new activation campaign ‘My Roohafza story‘. The Brand invites its consumers to share their moments of indulgence with Roohafza. The participants stand a chance to be featured in upcoming Roohafza television commercials. Elaborating on the idea behind the campaign, Hamdard senior GM and head marketing Tarundeep Singh Rana says: "Millions of consumers over the last 10 decades in India have grown up with Roohafza. It‘s a brand that is very dear to Indians and everyone has their own fond memory of Roohafza. Thorough this campaign we seek to capture these stories and make them a part of the brand history." The TVC is conceptualised by Triton Communication, Delhi and features actress Ragini Khanna who talks about Roohafza moments that are worth reminiscing. The brand has launched a 360 degree campaign targeting all spheres from Television, to print; from radio to Outdoor marketing across India. The brand is also exploring the digital platform though its official Facebook page which has already garnered 81,000 likes. The campaign will be phased out in two stages. The first stage allows consumers to send in their Roohafza stories through SMS, email and Facebook. The second stage involves venturing into the print media and OOH media space in order to announce the winning stories. Triton Communication Delhi branch head Rohit Madhusudhan says: "Roohafza is a heritage brand and every generation will have stories and memories associated with the brand. We wanted them to come out and share with us the stories they have." Interestingly, one of the most popular and loved brand Maggie noodles had earlier launched a similar campaign Main Aur Meri Maggie which proved to be a mega success. Let‘s hope this campaign works wonders for Roohafza as well.